Captain Kevin began his marine career in the mid 1970’s working in the Gulf of Mexico on offshore oil rigs – his vessels were over 100 foot long cargo ships for drilling platforms and research vessels. He came to the Finestkind in the late 1980’s and has worked on the boats, off and on, ever since. Kevin spent some time in Portland, Maine where he ended up delivering a vessel to Chicago via the St. Lawrence Seaway and Great Lakes; he has also found employment on urchin vessels. Kevin now splits his time between Ogunquit and North Conway NH, where he lives with his wife and son Thomas. Captain Tom has been making children of all ages smile on the lobstering trips for many years, and we’re lucky to have him! Tom has lived all around the world including Germany, England and Iceland, but he says he “always wanted to live in a place like this” – meaning our beautiful place by the sea, Ogunquit. Tom also always wanted to be a fisherman when he grew up and feels he is living out his lifelong dream by boating and lobstering in Maine. In his spare time, Tom likes to live life to the fullest by going boating (big surprise!) and skiing. Tom doesn’t have a lot of spare time however, because in the Fall he goes back to school at Lewiston High School and teaches Air Force Junior ROTC. This comes naturally to him, as he is USAF retired, 21 years. Tom is also a newlywed, being recently married to his sweetheart of fourteen years. At age 13, Lillian is our youngest crew member. Lillian’s hobbies include surfing, reading and playing music on her violin, cello or clarinet. In August you can listen to Lillian play some fiddle tunes at LeavittFest at the Leavitt Theatre in the center of Ogunquit. You can often find Lillian surfing at Ogunquit Beach or sailing with her dad, Grant. 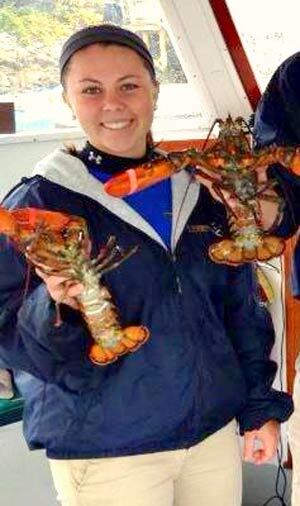 This year you may also see Lillian out on a lobster boat checking her traps, as she now has a student lobster license! Lillian took her first boat ride on the Finestkind III when she was just three days old and just loves to be on the water. Co-founder and matriarch of the Finestkind, Eleanor has been living in Ogunquit ever since she hitchhiked up from New Jersey back in the day! She and her husband, Oscar, began taking folks out on trips from Perkins Cove back in 1956 and never looked back. Both former teachers, the pair eventually made The Finestkind a full time occupation and Eleanor is still responsible for keeping it all together to this day. Eleanor’s three grown sons spent their youth in Perkins Cove and all make a living on the water today – running a boatyard, lobstering in Perkins Cove and sailing the Cricket as well as running Finestkind Cruises. 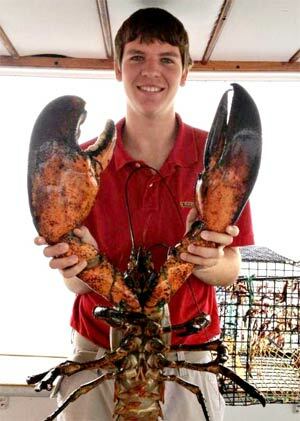 Eleanor’s grandchildren are also carrying on the family legacy by working on the Finestkind and lobstering out of Perkins Cove. Bob is a retired high school P.E. teacher and coach, and was National High School Swimming Coach of the Year in 1996! He and his wife Donna now live on and love the coast of Maine. 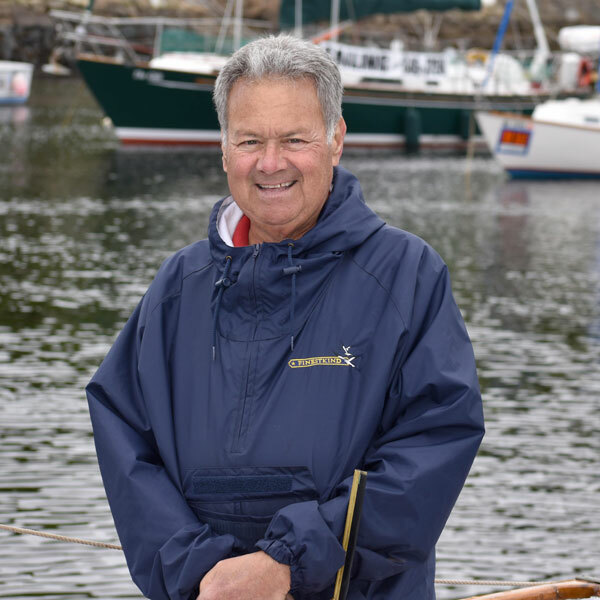 When Bob is not touring the coast of Ogunquit and York for the Finestkind; he enjoys studying the history and wildlife biology of the area, which he shares with passengers when he is captain on the breakfast cruise. Bob also enjoys SCUBA diving in the Caribbean and drinking wine in France. Salud! Chuck is one of our newest crewmembers. He lives in the local area and enjoys being on the water on any size craft, especially an ocean kayak. He is also an avid beachcomber. When not on one of the Finestkind boats providing tours and interacting with our customers he can be found in the his apiary tending to hives of honeybees. Chuck was a radioman in U.S. Coast Guard for eight years before he returned to college. Just prior to the end of our season Chuck has to leave us to resume teaching English Language Arts to middle school students. Amy grew up on Square Pond in Shapleigh, Maine and graduated from Massabesic High School in Waterboro. She then attended UNH where she studied Resource Economics, and upon graduation decided to work one summer in Ogunquit to help pay off her student loans. It was in Perkins Cove that she met her husband Grant; and the rest, as they say, is history. That winter she made her first (very seasick) offshore passage on the Hubbard family’s 44′ sailboat to the Caribbean, where she traveled the islands with Grant and his parents, Oscar and Eleanor. Amy made this trip for several years (once even with captain Kevin Gregston! ), and on one of the trips home, she and Grant tied the knot on beautiful Grand Turk island. That summer Amy began working for the family business and never looked back. Amy was raised by two expert sailors, and she is now the proud mom of two sailors in training: Marlow and Lillian. Amy feels very lucky to be a part of the Hubbard family. 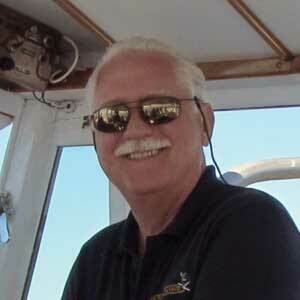 Grant is the Chief Captain and Director of Operations for Finestkind Cruises. Grant was raised as a “cove rat”, spending his summers plying the waters of Perkins Cove and the Atlantic Ocean. As a boy, Grant hauled lobster traps from a punt to demonstrate lobstering for the passengers aboard the Finestkind; thus began a lifelong vocation. During the off season you could find Grant at the Ogunquit Elementary school – the charming schoolhouse on School Street in Ogunquit where his dog Smokey would follow him to school and wait for him to get out at the end of the day! 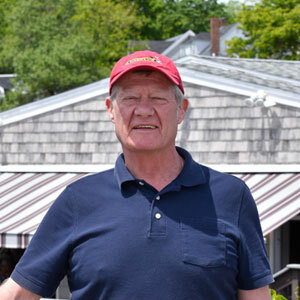 Grant attended Berwick Academy and Johnson and Wales University and worked as a chef for many years in the area, including Arrows Restaurant in Ogunquit. Grant eventually returned to his roots after several years in hot kitchens – he assumed the responsibility of managing the operation after the death of his father, Oscar. 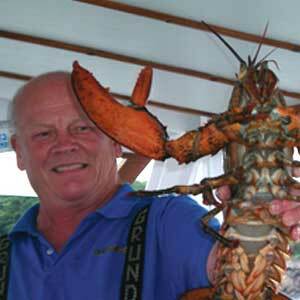 Grant is licensed as a Master, 100 tons power and sail and is also a licensed Lobsterman in the State of Maine. Grant is an experienced offshore and long distance sailor, windsurfer, boat builder and mechanic but is happiest when sailing The Cricket in a beautiful sea breeze. After college and combat experience as a Marine Corps Aviator in Viet-Nam, Bill spent his career as an Air Line Pilot. While flying he was able to pursue his dream of having a boat. This further spurred his enthusiasm and Bill studied and sat for a series of Coast Guard examinations to obtain a Master’s license – this enabled him to pursue a second career after retirement from the airline. 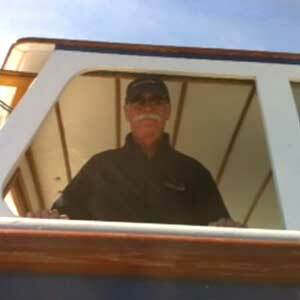 After first working for a number of operators on the New England Coast, Bill was hired at Finestkind Cruises and has been here for fifteen years. He is also the captain of the 33 foot fireboat at his town’s Fire Department. Affectionately known as “Shipman”, Steve came to us several years ago as a valued customer looking to spend more time on the water. Although Steve spends his winters in New York state, he and his wife Eileen can’t wait to get to Maine every spring; enjoying time at their home in Moody. 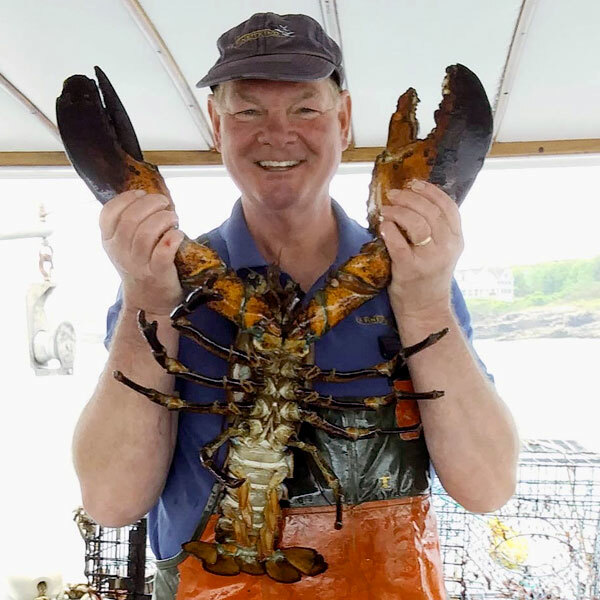 Steve loves early mornings on the Finestkind, and you will most often find him on the breakfast cruise and lobstering trips where he entertains with his knowledge of the coast and lobstering. When the Finestkind season ends, Steve returns to NY and goes back to his other career – he is a counselor at Four Winds Hospital in Katonah, NY; a psychiatric facility where he works with troubled adolescents ages 13-17. Pat was born and raised right here in Ogunquit and continues to live just a half mile from Perkins Cove in a restored 100+ year old barn. Pat met her husband in Perkins Cove and in fact got married on the famous pedestrian drawbridge that she now passes under almost daily with her job on the Finestkind. At one time, Pat and her husband were lighthouse keepers at Doubling Point Range Light Station in Arrowsic, Maine – she tells us of the great parties they had while living there! 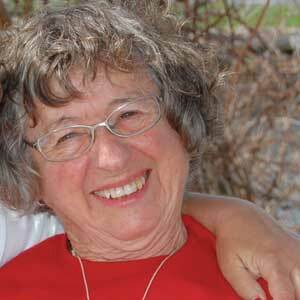 Pat was also a travel agent for 30 years during which she took numerous cruises and honed her love of sharing her beautiful surroundings. Pat likes to have Sundays off in the summer so she can spend the day with her husband who is also a lobsterman in Perkins Cove. 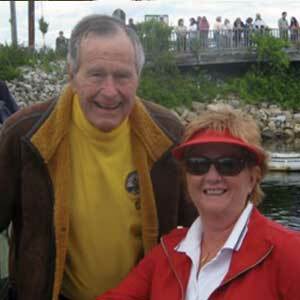 Pat is shown here with President George Bush senior on one of his many trips to Perkins Cove. 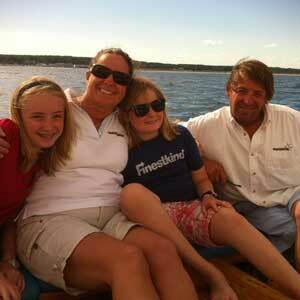 Emily started her first mate training in 2012 and joined the Finestkind crew in 2013. Emily has lived in Wells, Maine her whole life and has many fond memories at all the local beaches. She not only loves to eat lobster but she also loves to go out on the lobster boat to teach others about this very tasty sea creature! She is a top ten graduate from Wells High School and now attends college at the University of Maine at Farmington. Emily is majoring in Elementary Education with a Concentration in Mathematics and a minor in Special Education and her first semester of college she received Dean’s List distinction at UMF. Along with work and academics, Emily is also devoted to athletics; she was a three-sport athlete in high school but her best sport is field hockey and now plays at UMF! She is also a member of the UMF Dance Team. Emily is looking forward to becoming a teacher but is also living in the moment and enjoying every experience that comes her way! A local that graduated from Wells High School in 2013, Sean has been working for the Finestkind since 2012. He now attends Boston College and is studying finance and accounting in their business school. In his first semester at BC, he worked his way onto the Dean’s List. The year before Sean started working on the Finestkind, he interned in the United States Senate as a Senate Page for former Maine Senator Olympia Snowe. When he is not on the boats giving tours, he loves to travel throughout the US, hoping to eventually visit all 50 states and see all of our nation’s National Parks. Sean’s favorite part of working at the Finestkind? Mixing delicious rum punches (a local favorite) for our customers on the nightly cocktail cruises!